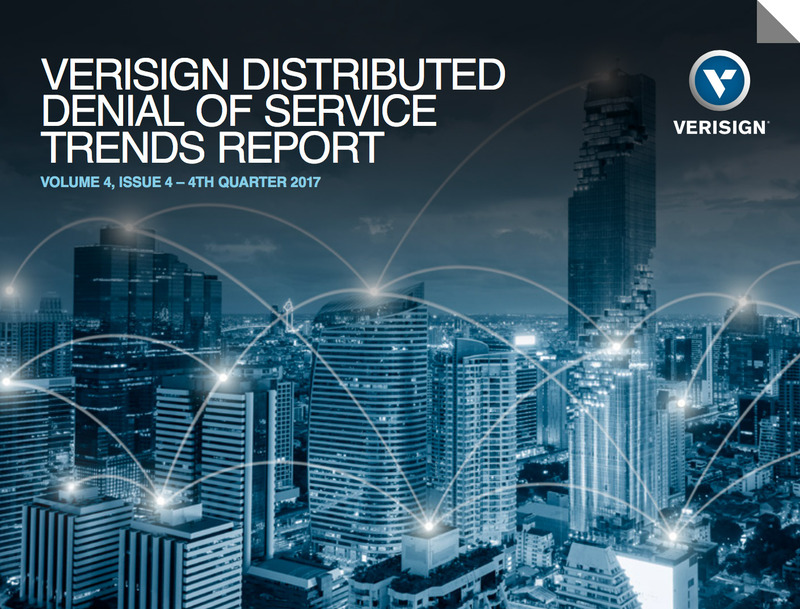 Click to DownloadVerisign has released its Q4 2017 DDoS Trends Report, which represents a unique view into the attack trends unfolding online, through observations and insights derived from distributed denial of service (DDoS) attack mitigations enacted on behalf of Verisign DDoS Protection Services and security research conducted by Verisign Security Services. The largest volumetric and highest intensity DDoS attack observed by Verisign in Q4 2017 was a multi-vector attack that peaked at approximately 53 Gigabits per second (Gbps) and around 5 Million packets per second (Mpps). The attack consisted of a wide range of attack vectors including TCP SYN and TCP RST floods, DNS amplification attacks, Internet Control Message Protocol (ICMP) floods, and invalid packets. Collaboration is vital for effective distributed denial of service (DDoS) mitigation. A mitigation response could often benefit from the involvement of a number of stakeholders. In an ideal scenario, all groups could work to mitigate the DDoS attack and bring the organization's critical systems back to optimal levels as quickly as possible. This level of complex coordination has traditionally been carried out using telephones and emails. However, there are other options for mitigation providers to help facilitate automated collaboration during a DDoS mitigation. A standard method of signaling for mitigation assistance upstream could simplify and streamline the process of coordinating the many components usually deployed in a DDoS mitigation. This is where DDoS Open Threat Signaling (DOTS) comes into play. Local Time: Thursday, April 18, 2019 10:00 AM PDT – Page Load: 0.2493 Sec.